In a world full of plastic gadgets, it’s nice to see one that gets back to natural materials in a totally classy way. 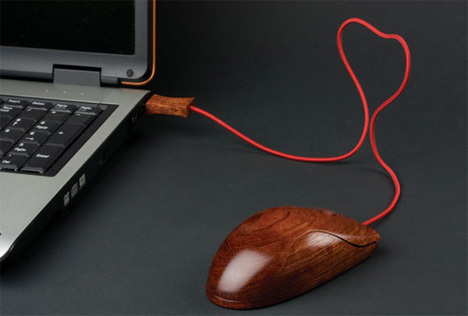 The Wooden Mouse from Alest Rukov is a fully functional mouse made of a single solid piece of wood with old-fashioned sensibilities. 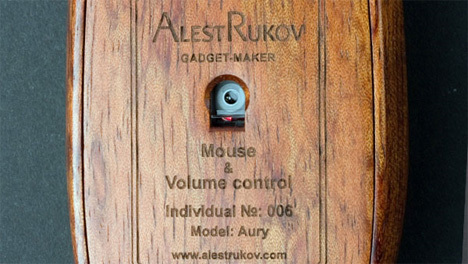 The mice, which are manufactured by AlestRukov: Gadget-Maker, go against the disposable culture we’ve cultivated in recent decades; these mice are meant to last. Using natural and environmentally-friendly methods, AlestRukov churns out these mice in a slow and calculated way. According to the company’s website, the sustainably-harvested wood takes three months to one year to dry; the milling of each mouse takes a full day; the natural finish then takes two to three weeks to dry. This is about as far as you can get from the $7 mice at the big box stores. 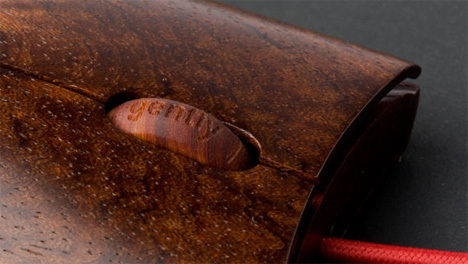 Eschewing the typical cheap (and decidedly environmentally unfriendly) components in favor of rich, natural, long-lasting wood gives the mice a substantial feel. But the electronics are just as impressive. Of particular note is the proprietary patent-pending volume control method that requires no drivers to be installed. 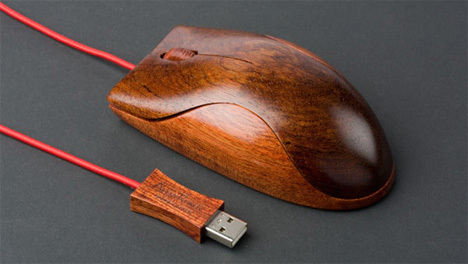 Of course, putting this gorgeous wooden mouse next to your plastic computer and keyboard might feel a little strange. In that case, class it up with a wooden case mod like this one and a USB typewriter keyboard for the ultimate in weirdly anachronistic computing. See more in or under Various Gizmos. October, 2010.